G&G Steel, Iuka, Miss., has constructed a lower miter gate for the Mobile Engineer District. The gate, which is destined for Holt Lock and Dam on the Black Warrior River at Tuscaloosa, Ala., was transported via the mv. Jackson III, owned by Cooper Marine, Mobile, Ala. Fabrication of the gate began at G&G Steel’s Russellville, Ala., facility, where it was finished and loaded in Iuka at Mississippi Works, a G&G Steel affiliate. 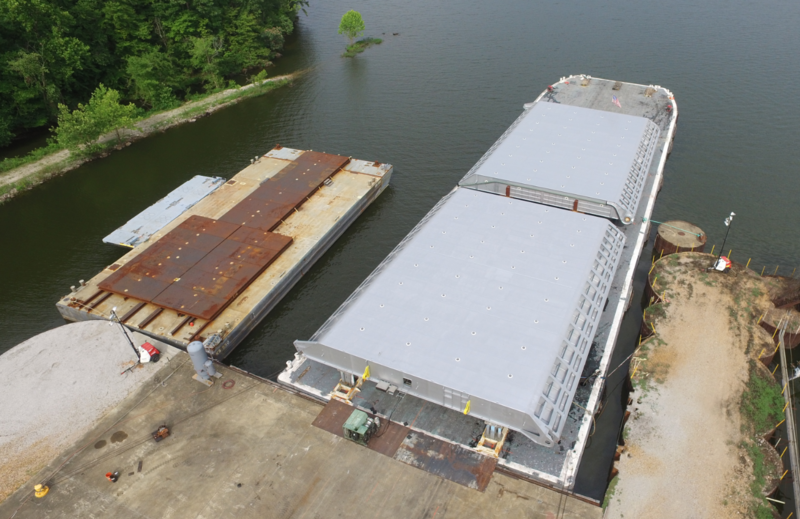 The gate will travel to Holt Lock and Dam via a 72- by 260-foot-long, flat deck barge. The original gate was constructed in the 1960s, and this is the first replacement of it. Each leaf of the gate weighs approximately 730,000 pounds and is 80 feet tall. The Mobile District, R&D Maintenance and Barnhart Crane will work together on the installation of the gate at the lock, which is scheduled to begin on July 9.